Eutelsat, the French satellite multinational, has identified at least 142 channels or services in Ultra High Definition (UHD) worldwide, including independent channels, pay TV services and national television channels. 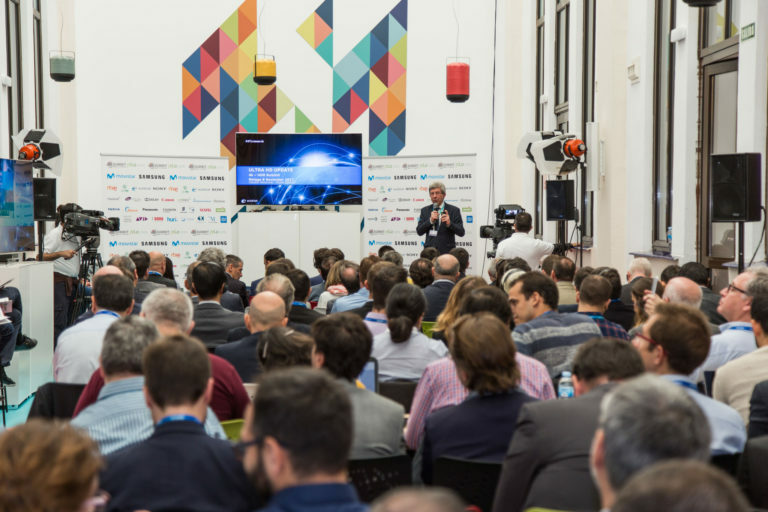 Michel Chabrol, senior VP of New TV Formats in Eutelsat, will present his report at the opening day of the 4K HDR Summit, which will be held for the fourth time from November 7 to 9 at the Digital Content Hub in Malaga. According to Eutelsat’s work, 142 of these 4K-UHD channels or services are offered via satellite. And of these, more than one third (55) are in Europe, and the rest in the other regions of the world. Chabrol is one of the main evangelizers of the 4K-UHD in all the technological events that are held annually all over the world, such as the NabShow, the IBC of Amsterdam and severals “Innovation Day” that are held in Europe throughout the year. An outstanding point of the Eutelsat report, defending the impelling role played by satellites in the deployment of this new technology, is the lack that exists in terms of development of 4K-UHD projects in Digital Terrestrial Television (DTT). Eutelsat (European Telecommunications Satellite Organization) was founded in 1977, and operates 38 communications satellites under the names Hot Bird, Atlantic Bird, Eurobird, KA-SAT and Eutelsat. These satellites are used to broadcast around 6,800 television and radio channels, reaching 1 billion video and audio consumers worldwide. Eutelsat also offers communication services for televisions, corporate networks, mobile telephony, Internet backbone connectivity and broadband applications with terrestrial, maritime and in-flight access. In recent years, Eutelsat has deployed its new satellites mainly in the America. Eutelsat will once again be present at the 4K Summit, consolidated as the main international event on 4K-UHD and brings together every year the main engineers and the “top content producers” of Ultra High Definition. Leading companies in 4K-UHD technology have already confirmed their presence in the fourth edition of the 4K Summit, such as the BBC, the Japanese NHK, the UHD Forum and IHS Markit.